Transporting goods and merchandise from one point to another requires a carefully coordinated approach, especially since global logistics costs far outpace those of a domestic move. According to Aberdeen Research, international shipments cost twice as much, take five times as long and have five times more variability than domestic shipments. Consequently, a 1% improvement in international supply chain efficiencies will yield significantly higher financial returns than a 1% improvement in domestic supply chain efficiencies. Different economies, business communities and governments are at varied stages of their digital transformation journey, including usage of, development and implementation of new applications and technologies. One major challenge is to have an agile scalable infrastructure that can enable and share data securely at the right time, in the right format for the right user. Some enterprises are just beginning, some already have mature systems or applications in place, while many have an “interesting” mix of technologies that are only partially integrated. Similarly, within a trading community, different technologies, security levels and document format standards are used, or not used at all. “Garbage-in, garbage-out” is still the fundamental of any information processing system, particularly for business-to-business and business-to-government platforms. Regulatory compliance and providing proof-of-compliance is now, more than ever, a must for doing business. In order to improve, benchmarks must be established and actual performance monitored against these benchmarks. 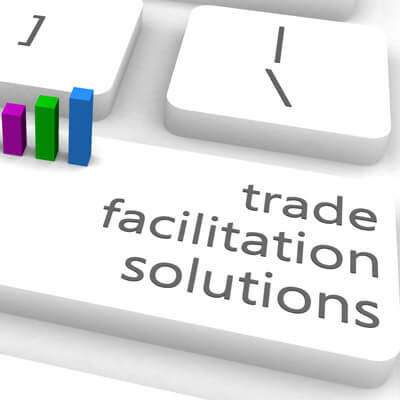 Traders have many documents involved which must be tracked, secured and capable of being easily transferred between the trader and the appointed agents. From customers declarations, transport requests, online payment documents to regulatory reporting, a trader and appointed agent need the power to share numerous documents in a secure and efficient manner. The need for a truly digital platform is real now more than ever before. Most of the current outdated platforms lack operational intelligence, and do not have interfaces and data exchange protocols with each other. As a result, each stakeholder continues to use their own platform forcing trade to not only access multiple windows but also ensure multiple exchanges of documents. The use of combination of spreadsheets, ineffective home-grown solutions, manual processes slow down trade and often times lead to loss of profitability. For the players in the trade process to remain competitive, they need solutions that automate import and export processes to enable goods to flow unimpeded across international borders in the most efficient, compliant and profitable way. With a comprehensive digitalized suite of business services that help automate trade from the time a purchase order is placed with an overseas supplier to the time a shipment is delivered, a supplier should be able to track and manage transportation costs. Additionally, a supplier must be able to optimize logistics, provide shipment tracking and visibility, ensure compliance with import and export regulations all while assisting companies in the implementation and use of preferential and free-trade agreements. Automating global trade requires more than software. It also requires trade content. Trade content includes harmonized tariff codes, restricted party lists, export regulations, import regulations, shipping documents, preferential duties and taxes, specifications involving free trade agreements, transportation rates, and sailing schedules to name a few. SEEBURGER, using its Business Integration Suite (BIS), can help you enable your digital trade facilitation platform, including creating an agile business integration infrastructure that enables operational intelligence and digital services using Managed File Transfer (MFT), business-to-business integration (B2B) and internal and external APIs. Adding a data information management application for both business and technical users and a flexible community management application on top of this, it will help you on-board any size of company providing full visibility into your business processes by eliminating blind spots commonly experienced. Gurudutt P.B, Director, Strategic Market Development, Asia is responsible for business & market development related to SEEBURGER’s business integration technology and solutions for diverse industry verticals that include Financial Services, Utilities, Regional and National Trade Facilitation and Single Window capacity building, to name a few. Gurudutt has more than 25 years of regional business and technology experience working with product and solution delivery of enterprise application integration, EDI, B2B, MFT, API, Analytics and Big Data, Mobile, Digital Transformation and industry specific technology initiatives, both on-premise and in the cloud. 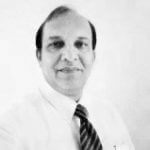 Gurudutt has been with SEEBURGER since April 2017 and prior to this with international business integration technology providers working in various leadership roles in Asia.